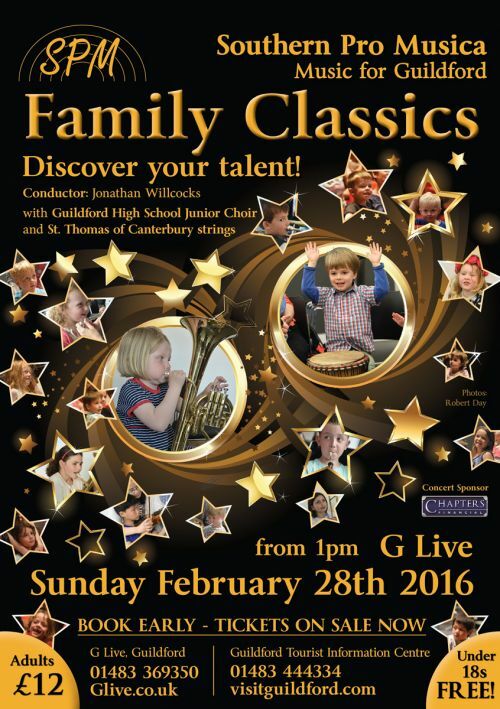 A programme of tuneful and lively classical music to delight the entire family. There will be plenty of opportunity for audience participation and from 1.00pm there will be FREE hands-on workshops in conjunction with Surrey Arts to allow children to try out musical instruments. After a short interval, the Concert will begin at 3.00pm (ending at c. 4.15pm).